Brian Nichols’ practice is primarily in federal Indian law and litigation, including tribal courts, with focuses on energy, natural resources, transportation and employment. Lead counsel in trials in federal, state, and tribal courts. Lead negotiator in labor negotiations. Advising and negotiating for clients with tribal nations. Consulting with clients doing or considering business on or with tribal nations. 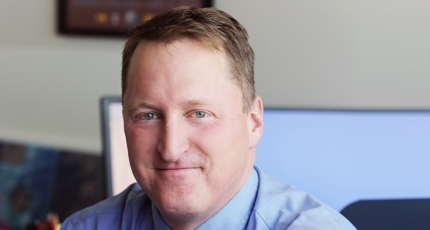 Brian has advised clients including BHP Billiton, Union Pacific Railroad, BNSF Railway Company, Peabody Energy, Western Refining and Giant Four Corners, City of Farmington, Encana, WPX Energy, Continental Resources, and Saddle Butte Pipeline, along with many smaller companies having Indian law issues. As a member of the Navajo Nation Bar, Brian regularly advises clients regarding Navajo law and represents clients in Navajo courts and agencies. Best Lawyers in America® selected Brian as 2018 Native American Law “Lawyer of the Year” in Albuquerque. 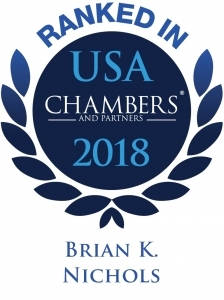 Brian has achieved nationwide recognition in Native American Law from Chambers USA. As reported by Chambers, “Brian Nichols handles all aspects of federal Native American law and litigation, including energy work, natural resources, transportation and employment issues. He regularly appears in state, federal and tribal courts. Interviewees find him to be ‘impressive,’ explaining that he is ‘a lawyer’s lawyer. He is almost academic in his knowledge. '” Additionally, Brian has received an AV® peer review rating in Martindale-Hubbell, the highest rating possible, and listed as a Southwest Rising Star by Southwest Super Lawyers®. He is recognized as a Star by Benchmark Litigation, Labor & Employment. Before joining Modrall Sperling, Brian clerked for the Honorable Pamela B. Minzner of the New Mexico Supreme Court and the Honorable Fredrick J. Martone of the U. S. District Court for the District of Arizona. He serves as Co-Chair of the Native American Law practice group and is a former member of the firm’s Executive Committee. Advises Union Pacific Railroad and other clients in several matters related to tribal nations. Lead counsel in trial before the Navajo Nation Labor Commission, Nez v. BHP Billiton, NNLC 2015-016, 2015-2016. Decision forthcoming. Lead counsel in appeal to Navajo Supreme Court, Morris v. Giant Four Corners, Inc., No. SC-CV-13-15. 2014 to present. Decision forthcoming. Defended transportation, gas industry and coal industry clients against personal injury and premise liability claims in tribal courts. Represents businesses in the courts and agencies of the Navajo Nation. Common matters include employment (the Navajo Preference in Employment Act, NPEA); property (such as the Navajo Nation Civil Trespass Act); vendor preferences and procurement (the Navajo Business Opportunity Act, NBOA); and worker health and safety (such as the Navajo Occupational Safety and Health Act, NOSHA). Assists businesses doing or considering commerce with the Navajo Nation and other tribal nations. Lead counsel in federal court bench trial, Garcia v. City of Farmington, No. 12-cv-00383. Trial in 2016, decision forthcoming. Lead negotiator in labor negotiations for BHP Billiton subsidiaries in New Mexico, 2011 to 2013. Participated in the defense of Psilos and Ares Management in consolidated Fraud Against Taxpayers Act claims, New Mexico ex rel. Foy v. Vanderbilt, Nos. D-101-CV-2008-01895 & D-101-CV-2009-01189; including an interlocutory appeal resulting in the New Mexico Supreme Court’s ruling on retroactivity in Foy v. Austin Capital Management, 2015-NMSC-025, 355 P.3d 1. Defended several lawsuits involving fatal and other serious accidents. Clients include BNSF Railway Company, Amtrak, TA Operating, LLC (Petro Shopping Center) and BHP Billiton. In a 2013 unpublished decision of the Navajo Supreme Court, Jones v. BHP Billiton, No. SC-CV-07-11, the Court affirmed the decision of the Navajo Labor Commission. The Commission found that BHP Navajo Coal Company had just cause to fire an employee who had undisclosed conflicts of interest. The employee, a Navajo medicine man, contended that his termination was religious discrimination. By contrast, both the Commission and the Supreme Court found that the mine accepted and promoted Navajo culture, and valued the employee’s expertise in that area. The Navajo Supreme Court reiterated its test for jurisdiction, holding that the Nation may have jurisdiction over a party which no longer has contacts with the Nation. The Court also held that its District Court should determine aspects of the case which, by contract, were to be determined by a Texas court, due to the Nation’s interests in real property. Neptune Leasing, Inc. v. Mountain States Petroleum Corp., et al., No. SC-CV-24-10 (Nav. Sup Ct. May 13, 2013). The Navajo Supreme Court determined that the Nation’s tribal courts must determine jurisdiction over non-Indians at the outset of a case. The court must make factual findings to determine whether it has jurisdiction under both Navajo Law and Federal Law. Doe BF vs. Diocese of Gallup, No. SC-CV-06-10 (Nav. Sup. Ct. Sept. 9, 2011). Defended Albuquerque Public Schools in a civil rights claim related to special education. The Court of Appeals determined that educators did not violate a student’s constitutional rights by placing him in a “time-out room” in response to his dangerous, disruptive behavior. See Couture v. Albuquerque Public Schools, 535 F.3d 1243 (10th Cir. 2008). Represented Westland Development Co., Inc. and SunCal affiliated entities in federal securities law claims. In two orders, the District Court dismissed in part a proxy claim (14a claim). Previously, the Court denied injunctive relief to the Plaintiff, effectively allowing a corporate merger. See Lane v. Page, 581 F. Supp. 2d 1094 (D. N.M. 2008) & 649 F. Supp.2d 1256 (D. N.M. 2009). Represented Westland Development Co., Inc. in litigation related to a proposed merger. The District Court had dismissed the plaintiff’s claims, holding in part that the appraisal claim created by the dissenting shareholder statute was her exclusive remedy. The Court of Appeals reversed. See Rael v. Page, 147 N.M. 306, 222 P.3d 678. Represented Bank of New York/Mellon and Westland Development Co., Inc. against claims of fraud and breach of fiduciary duty. In a dispute regarding ownership of Westland’s shares, the Court of Appeals affirmed dismissal in part because the claims were time barred, and in part because Westland complied with Article VIII of the Uniform Commercial Code regarding securities. See Saavedra Wilde v. Westland Development Co., Inc., 148 N.M. 627, 241 P.3d 628.